Last year, I proposed the question as to whether or not another Giant Palouse Earthworm would ever be found in Idaho. This has officially been confirmed as a yes. Last month, Shan Xu, an Idaho student, and Karl Umiker, a research support scientist discovered an adult and juvenile earthworms along with three earthworm cocoons by using a new high-tech worm shocking probe that was stuck in the ground and used electricity to push worms toward the surface (you probably saw a similar technique used int he remake of Godzilla). Opening in 1904, Norwich State Hospital expanded over 100 acres, catering to ninety-five patients. As the years progressed, the number of patients in this asylum grew calling for building expansions; an administration building, three patient buildings, three cottages for physicians, a carpenter and maintenance shop, a main kitchen, garage, laboratory, staff house, an employees’ club house and the inebriate farm and the Colony had been established by 1913. The need for space continued to grow with the additions of fifteen new buildings. By 1930, patient numbers reached to over 2,000. Tubercular patients were housed between 1931 and 1939 in one patient building called Seymour which led to the closure of the “Pines” buildings. More additions were built. However, during World War II, the nursing staff dwindled. While new buildings were being constructed, old ones met their demise. It's population peaked in 1950 at 3,000 and was considered a working town. If a Wendigo and werewolf were in a cage match, who do you think would win? The more one reads about the magic of Hawaii, the more you could fall in love with the Pacific Islands state. 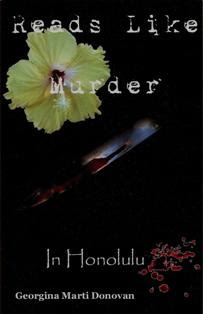 Reads Like Murder in Honolulu by Georgina Donovan transports the reader to where a myth meets mystery. The story begins with a lovely bookstore owner named Hayley Wyndham. She finds herself hypnotized in a routine bike ride when a sudden hit-and-run jars her in to a mystery right off the pages of her beloved books. The day is made worse by a break in of her business. However, all is left in the capable hands of the San Diego police as she answers the call of a fellow book lover. Although this visit would be anything but normal. With a hunky Hawaiian cop, Keoni Chase, along for the ride, the two sail down a rabbit hole full of kidnappings, murders, myths and even a little romance. Will they solve the mystery of Mokuaina Pu'uhonua? How useful do you think full spectrum cameras are in paranormal investigations? Adjacent to the shore of Town Cove in Orleans, Massachusetts sits an aging Victorian beauty. In 1875, Aaron Snow began constructing a beautiful mansion for his wife and seven children. The time and effort it took for him to build such a magnificent structure earned its past nickname, "Aaron's Folly". He ran a store on the first floor of this six-story building which included bootlegging and burying a stash in the waters of the cove. Snow's son, William H. moved the family business in to the center of Orleans where it continues to operate under by the Snow family. Aaron died on May 10, 1892, as well as his wife. For ten long years, this Victorian structure saw no life within its walls. Thanks to the lovely Julie from Above the Norm for supporting and honoring my little blog with a Beautiful Blog Award. According to the rules, I have to name 15 of my top favorite new blogs that I enjoy reading. I don't like singling one blog out over others. If you're on my blogroll. 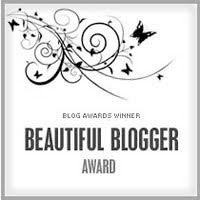 you deserve a Beautiful Blog Award. You are all fantastic in my opinion. 1. I'm probably one of the few serious paranormal bloggers who has NEVER had a personal paranormal experience. I don't go looking for one. I figure if its going to happen it will. Although, if my mother keeps frequenting yard sales and craigslist, it may happen sooner rather than later. You never know. When it was decided to vote in a new set of the Seven Wonders of the World, the lost city known as Petra in Jordan was one of the lucky seven to be admired and loved by visitors across the globe. Little is known about its exact origins as well as its history. However, more and more details are unraveled by the day historians. Remains from the Paleolithic and the Neolithic periods have been discovered at Petra, and the biblical Edomites are believed to have occupied the area about 1200 BC. Although it hasn’t been proven, Petra may also be the city of Sela mentioned in the Old Testament. Ghostly Thirteen was inspired by the Thursday Thirteen meme. You list thirteen paranormal-related things, for example your top 13 posts (if you have a paranormal blog), mythical creatures, gods, haunted houses, etc... All is welcomed to participate. 1. Masada - I find this fascinating whether its because they were so rebellious and killed themselves to avoid capture or the possibility it never happened. 3. The Wallet Man - this whole thing just creeps me out. 4. The Haunted Mortuary - a haunted location turned in to a haunted attractions. 5. Robert the Doll - I'm sorry but I don't think I want to be anywhere near this doll. Start having Chucky nightmares. 6. Island of the Dead Dolls - I think this falls in a similar category. An island covered in old dolls that some claim to have seen them move on their own is like the setting of a horror movie. What was your first experience with the paranormal? If you could create your own cryptid, what would it look like? What name would you give it and why? Founded in 1893, Wellington, Washington was a small town unknown by most. One single devastating event launched it in to the spotlight. Located at the west portal of the original Cascade Tunnel under Stevens Pass, the community experienced a horrible blizzard lasting nine days the last week of February 1910. About a foot of snow fell per hour. 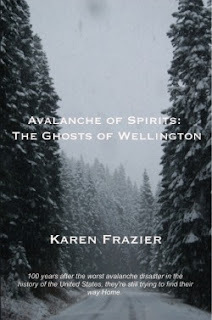 Two trains, one passenger and one mail, bound for Seattle found themselves trapped in Wellington after snow accumulations and repeated avalanches covered the tracks. The worst of it was yet to come.